Want to experience the power of magic? Are you a beginner or a pro? This audiobook is packed with spells that will enchant you! If you are a practicing witch, you know that the magic is essential to what you seek. There is a spell for everything for which you wish. You can bring more positivity into your life and those around you with these spells. This audiobook on Wicca is easy to follow and has four exciting parts that bring the magic into your home. All ingredients are easy to find, and all the steps are fun. Going back centuries, many people have looked for a potion or spell to bring them that special someone, a soul mate they can call their own to love and cherish. The spells in this audiobook on love will bring that fire into your life. Everyone could use more money, and with the right spells, many witches have brought great wealth to many famous and regular everyday people time and time again. These secret spells cannot only bring you more money, but you can also do the spells for loved ones in need as well. Being healthy and relieving stress can bring you more happiness in your life. These spells for health and stress relief do just that and more. Bought a new home? Has there been mysterious happening in your new home, lights flickering, voices heard at night, doors slamming shut? You need spells to cast these demons out. Maybe you just want to bless your home with positive energy. You will find all the magical ingredients to get this done. 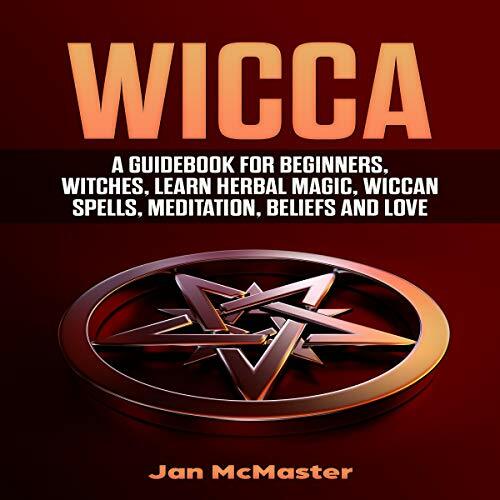 Learn the power of Wicca and be a magic pro. Enjoy your life again and bring the power of witchery into your home.